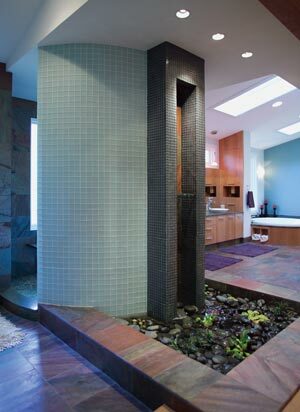 The focal point of the new bathroom is a massive water fountain that features quiet or audible water flows that allow the owners to enjoy it from either their bedroom or their bathroom. 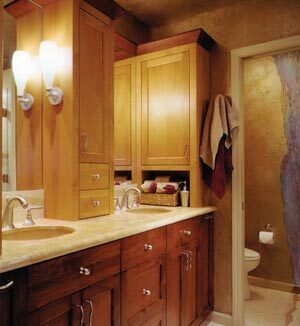 Original oak cabinets were replaced with custom Shaker-style alder cabinets with rounded edges, stained two different colors for visual impact. 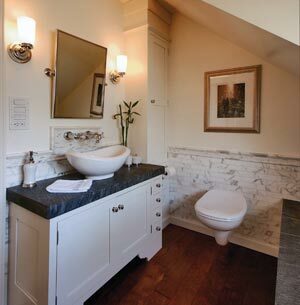 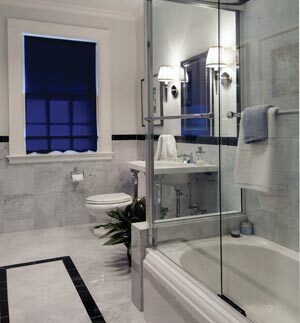 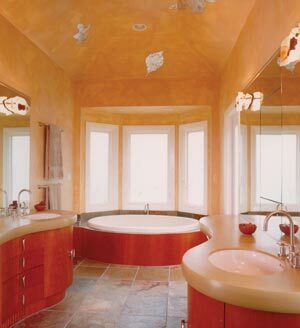 To add a subtle feminine feeling, a curvy feature stripe was added to the shower walls and backsplash.